Saint Louis Bertrand was born in the year 1526, the oldest of the eight children of his good Christian parents, at Valencia in Spain. He was in every way a model of modesty and obedience, and it was foreseen that God had some particular role for him. He devoted himself to the sick in the hospitals. He desired to enter the Order of Saint Dominic, but for some time could not obtain his parents’ permission. Finally, in 1545, he became professed in the Dominican Order, then was ordained a priest in 1547 when he was only 21 years old, according to the desire of his Superiors. In 1551, at the age of twenty-five, he was made master of novices, and in this post he formed many great servants of God. It is said that despite his strictness, he was so gentle that his chastisements were more agreeable to his novices than the favors of their best friends. In 1560, when the plague broke out in Valencia, his Superiors, not wanting to lose him, sent him elsewhere for a time; he preached with great success and was endowed with the spirit of prophecy. He continued his preaching when recalled to Valencia. In 1562 he obtained leave to embark for Carthagena in the American mission, and there converted vast multitudes to the Faith. He hoped to obtain the grace of martyrdom there, but God conserved his life. He was favored with the gift of miracles, and, after praying for the gift to be understood without an interpreter, since one of those had disappointed him seriously, he preached in his mother tongue, Spanish, but was understood by all the natives of various tribes. In his mission at Tubera he himself baptized 10,500 Indians, without counting those his companions baptized, and obliged them to burn their idols and the sites of their detestable sacrifices. Often his gentleness charmed his worst enemies. He preached also at Capicoa and Paluato, having established missions there. He refused all remuneration; he brought down rain after a drought. He was poisoned by some pagans who had suffered a reproach, but the poison did not harm him, and the barbarians were converted by the miracle. 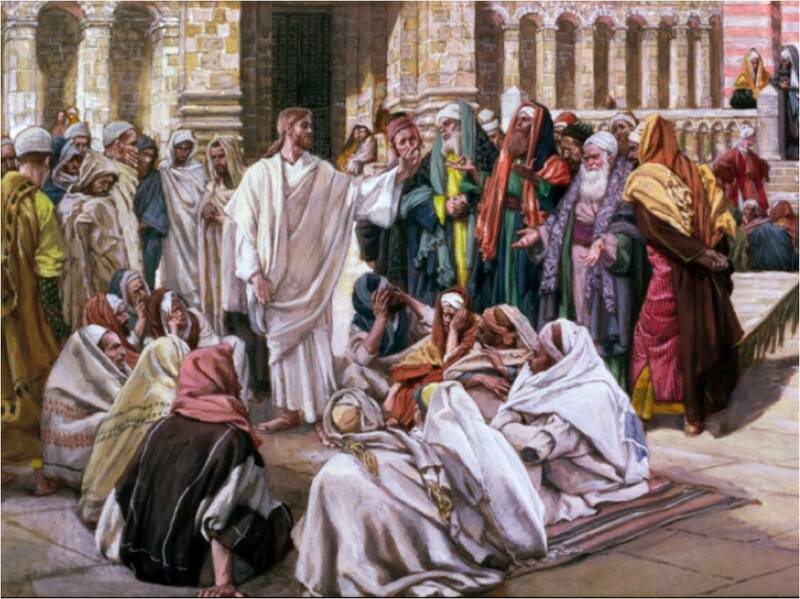 He went to many other places, preaching and healing the sick; again he was poisoned without effect. There was no one who did not consider him a Saint, sent for the benefit of the new continent. After seven years he returned to Spain to plead the cause of the Indians, oppressed and given bad example by his own countrymen. He was not permitted, however, to return and labor among them. He spent his remaining days preaching, laboring for the conversion of different cities, and again forming the novices of the Order at Valencia. He was elected Prior of that convent, and never had a more charitable or more zealous Superior been seen there. At length, after suffering from a long and painful illness, he was carried from the pulpit in the Cathedral at Valencia to the bed from which he never rose. He died on the day he had foretold, October 9, 1581, at the age of 55 years. Then it goes and brings back seven other spirits more wicked than itself who move in and dwell there, and the last condition of that person is worse than the first.”” – Luke 11:15-26.